A beautiful duet of elegant roses and luxurious orchids are arranged in a modern, sophisticated grouping. 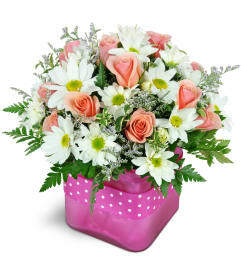 High-style and seductively lavish, it'll get just the thank-you you are looking for! 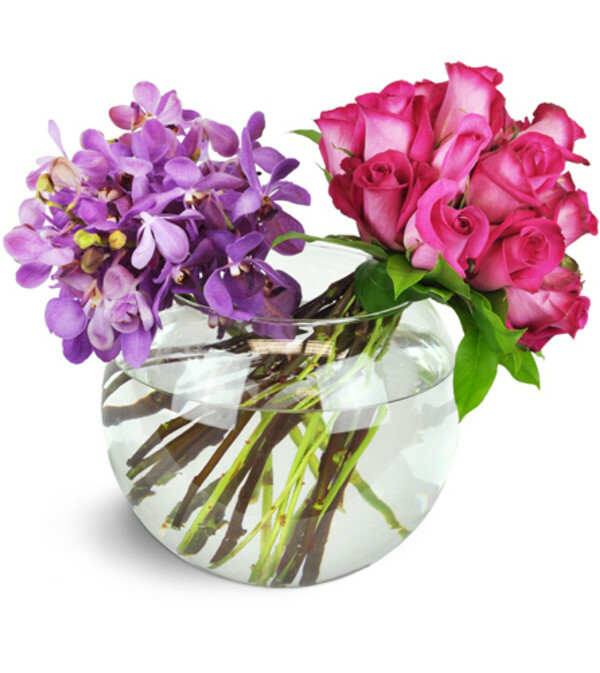 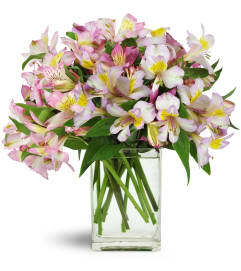 Four stems of exotic mokara orchids and 18 hot pink roses are hand-tied in an impressive, large glass vase.